Do you wish that your tacos were a bit more adventurous? 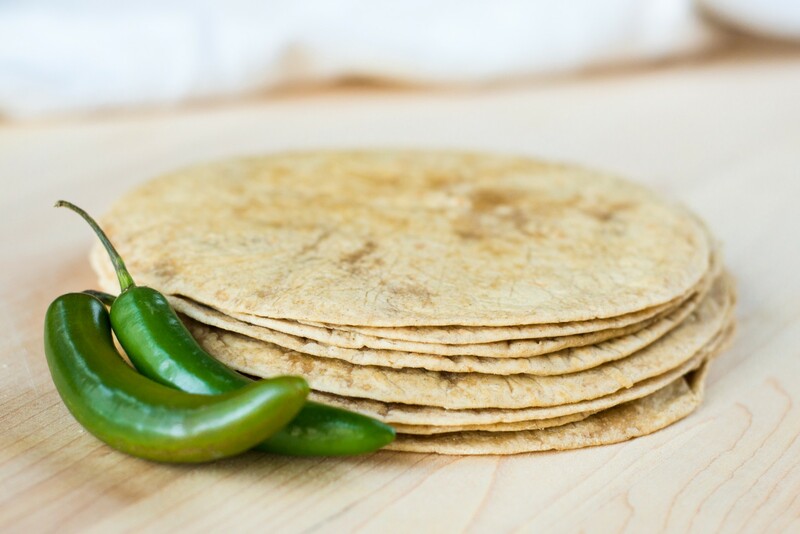 Shake off the cobwebs with our Spicy Jalapeño Tortillas. 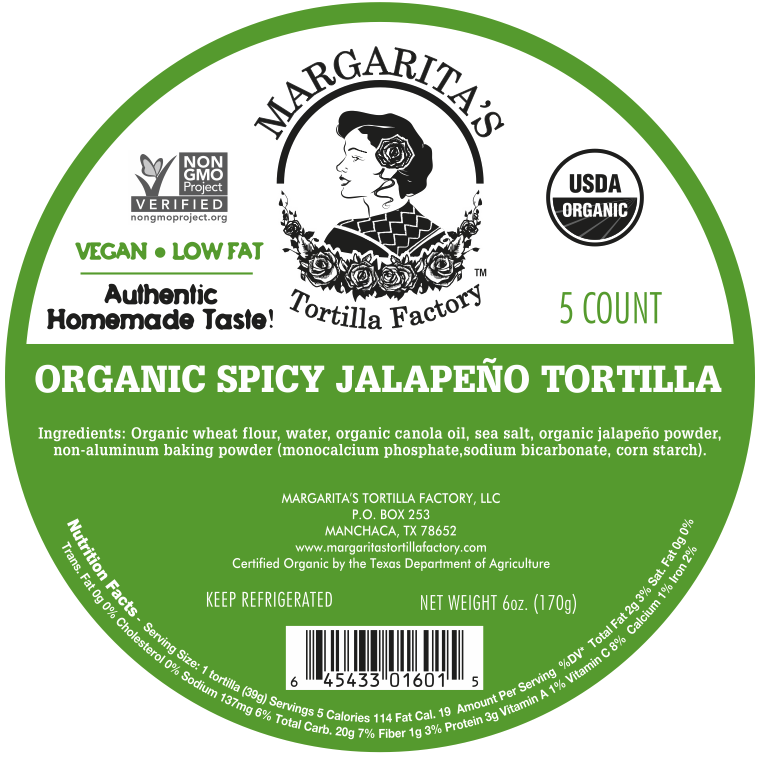 They have just enough kick to make your tacos interesting but not enough heat to make your nose start running. Organic wheat flour, water, organic canola oil, sea salt, organic jalapeño powder, non-aluminum baking powder.